Luke Jacobs Other It's quite interesting that two artists from opposite ends of the world found a way to join forces to unleash their electro-industrial offerings on the masses. Brooklyn's Statiqbloom (Fade Kainer) and Kaliningrad's Zex Model (Paul Von Aphid) share this beautiful slab of red wax courtesy of Desire Records out of France. Statiqbloom kicks off the collaboration with four well executed dark electro inspired tracks. We first heard these tracks on the 'Black Mirrors' and 'Mask Vision Poison' cassettes. All tracks deliver a cold and eerie array of ghostly effects and samples. Right from the beginning we witness the unveiling of something dark and threatening. Placebo Effect found a way to do this on nearly every track they recorded. I get this same feeling here. There is a strong presence of mid-90's dark electro blended with Front Line Assembly. Steady dance beats paralleled with heavily distorted vocals give way to celestial ear-catching rhythms. As we flip the slab of wax to the other side we dive into the devious world of Zex Model again. In a recent discussion with Paul of Zex Model, he stated there are three phases of Zex Model's music. Phase 0 consists of 'First Mutation' and Phase 1 is 'Mind Slaughter'. Both phases contain heavy nods to Skinny Puppy, Mentallo and the Fixer, Ministry, G.I.S.M, Zouo, Borghesia, Tackhead and S.P.K. Phase 2 is where we are with this split 12". Zex Model moves away from the blatant Skinny Puppy tribute to more heavy bass and sample mode of expression. Zex Model goes all out on a 20 minute binge of Mentallo and the Fixer and Benestrophy cocktails. The throaty vocals meshed with all the samples and sounds make this a thrill ride into the next phase of Zex Modelism. Connoisseurs of fine underground music should take note that Statiqbloom collaborated with NYC's Soren Roi, known for his work with Rosenkopf. Soren is also the host for weekly live music event, Nothing Changes in NYC, showcasing bands from all over the world. This would be the perfect place to have a double bill of Statiqbloom and Zex Model to celebrate this killer release. It's quite interesting that two artists from opposite ends of the world found a way to join forces to unleash their electro-industrial offerings on the masses. Brooklyn's Statiqbloom (Fade Kainer) and Kaliningrad's Zex Model (Paul Von Aphid) share this beautiful slab of red wax courtesy of Desire Records out of France. 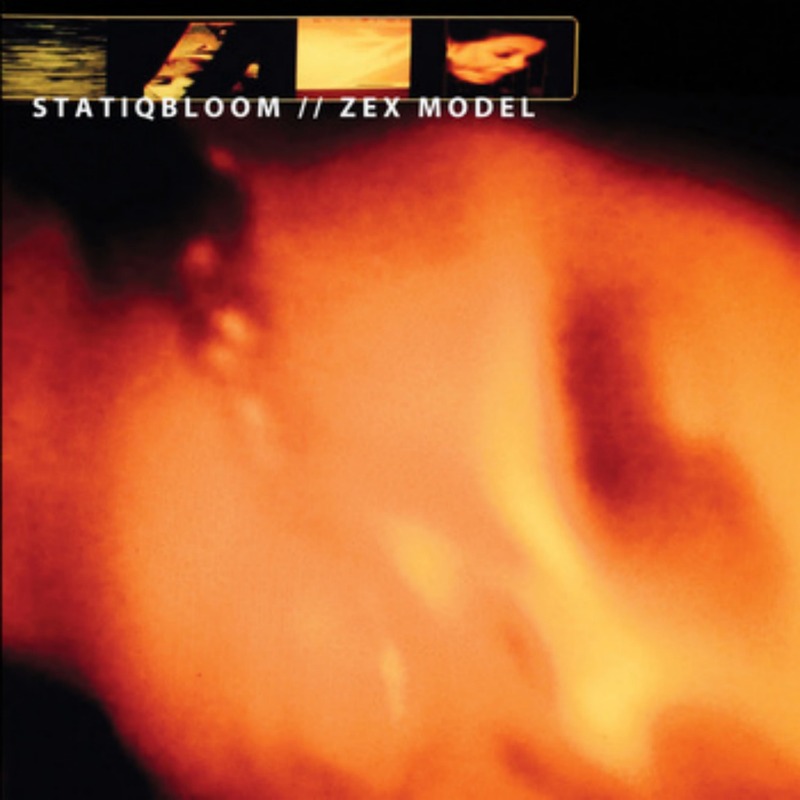 Head over to Bandcamp to purchase Zex Model and Statiqbloom vinyl. Statiqbloom still has limited edition CDs for sale as well. Look out for a Zex Model cassette release for early 2015.